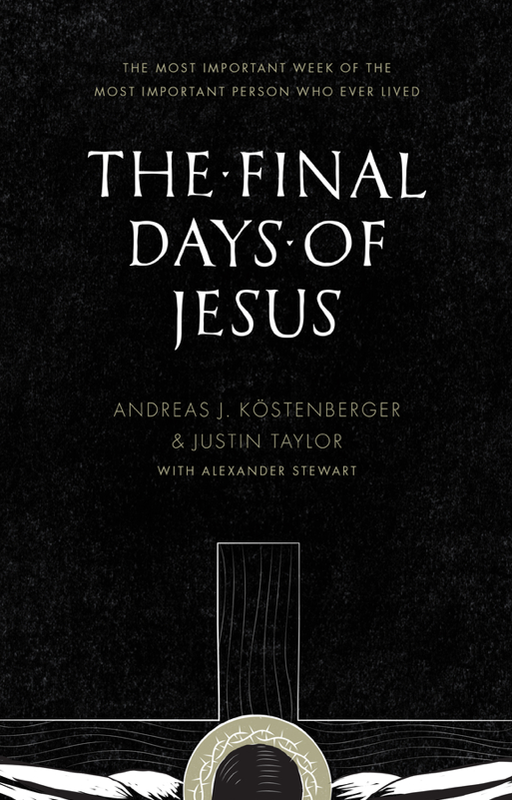 Andreas Köstenberger and Justin Taylor haven’t broken the world of scholarship wide open with The Final Days of Jesus (and that's a good thing!). They haven’t done anything controversial or scandalous with this book. They haven’t chosen to repeat the liberal skeptical tropes that we’re used to seeing from people like Bart Ehrman, and as such we’re unlikely to see Taylor and Köstenberger on the evening news or being interviewed on Nightline (is that show still on?). Instead, this book The Final Days of Jesus presents a helpful introductory timeline of the last week of Jesus’ life straight from the biblical record. The book is organized by days of the week, beginning with Sunday, March 29th, A.D. 33 and going until Sunday, April 5th, A.D. 33. Each chapter contains the biblical material of what occurred on each day of the week leading to Christ’s death along with helpful commentary by Dr. Köstenberger. Just as an example of how the chapters are laid out, Friday, April 3rd A.D. begins with a section on the betrayal and arrest of Jesus. It is followed by all of the biblical accounts of this event from Matthew 26:47-56, Mark 14:43-52, Luke 22:47-53, and John 18:2-12. This is followed by a section of commentary on these events from Köstenberger and a map of the area of Gethsemane and showing the path that was probably taken from Gethsemane to the palace of the high priest. Next in the chapter comes the Jewish trial of Jesus with its relevant Scripture passage from John (since he’s the only one who records that event) just as the previous section was laid out and so on. In this sense, the book is interested in bringing out details, discussing harmonization issues, and keeping things as narratively driven as possible. All of this does seem somewhat academic, I’ll confess. What comes out of the reading, however, is a wonderful opportunity for the reader to really drink up what the Scriptures say, laid out in a helpful, chronologically structured book. It isn’t long. It isn’t hard reading. It also isn’t excessively defensive in the apologetic sense (though harmonizations between accounts are dealt with, when necessary, in a secondary way), which I think your average reader will appreciate. They approach the biblical record acknowledging slight differences in the way the authors record the events. 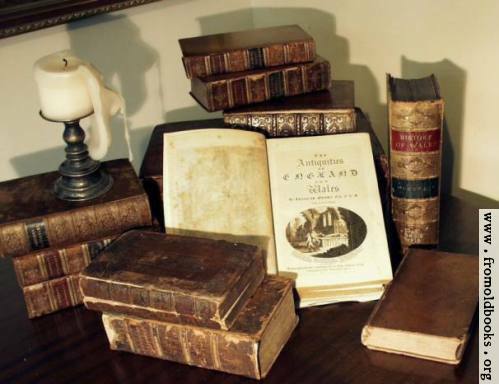 But they encourage readers to adopt “a charitable rather than critical reading,” which they say “demonstrates that the evangelists are each accurately referring to the same thing rather than contradicting one another.” This is a refreshing approach compared to the mainstream NT scholarship that dominates in the academy today. Although I had this review written last week, I purposely decided to keep from publishing my review of it until after the Easter weekend. I’m a Presbyterian and we’re famously obnoxious for our rebellion against the church calendar (as well as publicly beating our breasts at times: "Thank God I am not like these other men who observe the church calendar!"). But my reason for waiting until after Easter was not to grate on the nerves of fellow brothers and sisters in Christ who would expect this sort of thing to go online before Easter. Rather, I did it because this book isn’t just important to read at Easter. The death and resurrection of Jesus is not merely something to think about during the month of April. These events are central to the whole of redemptive history. They are the glue the holds the covenants of God and His promises of New Creation throughout the Old Testament prophets together. As such, they deserve our attention throughout the year. My hope is that Christians will be motivated by this book to not merely “get in the Easter spirit” during one particular season of the year, but that every Sunday would be an occasion for us to meditate and think upon the death burial and resurrection of Christ. A book like this is just the tool to help us do that. I commend this book to be used by Christians all year long.